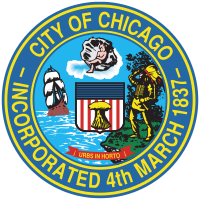 As described in http://bit.ly/311HistoricalPost, the function of this dataset was replaced by https://data.cityofchicago.org/d/v6vf-nfxy. This dataset is historical-only. All open rodent baiting requests and rat complaints made to 311 and all requests completed since January 1, 2011. The Department of Streets & Sanitation investigates reported rat sightings. Alley conditions are examined. If any damaged carts are identified, Sanitation Ward Offices, which distribute the carts are notified. Rodenticide is placed in rat burrows to eradicate nests. 311 sometimes receives duplicate rat complaints and requests for rodent baiting. Requests that have been labeled as Duplicates are in the same geographic area and have been entered into 311’s Customer Service Requests (CSR) system at around the same time as a previous request. Duplicate reports/requests are labeled as such in the Status field, as either "Open - Dup" or "Completed - Dup." Data is updated daily. Note: This filtered view shows only those service requests from the underlying dataset that are not marked as duplicates. -- All open rodent baiting requests and rat complaints made to 311 and all requests completed since January 1, 2011. The Department of Streets & Sanitation investigates reported rat sightings. Alley conditions are examined. If any damaged carts are identified, Sanitation Ward Offices, which distribute the carts are notified. Rodenticide is placed in rat burrows to eradicate nests. 311 sometimes receives duplicate rat complaints and requests for rodent baiting. Requests that have been labeled as Duplicates are in the same geographic area and have been entered into 311’s Customer Service Requests (CSR) system at around the same time as a previous request. Duplicate reports/requests are labeled as such in the Status field, as either "Open - Dup" or "Completed - Dup." Data is updated daily.